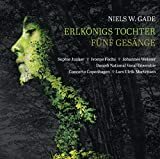 Ionarts: Best Recordings of 2009 - "Almost List"
I respect Sigiswald Kuijken’s Bach Cantata cycle (on Accent SACDs and scheduled to be ‘just’ a one-liturgical-year cycle), as I do Suzuki’s and Gardiner’s… but there is more than respect to my response to Kuijken’s HIP, one-voice-per-part (OVPP) Bach. There is warmth and enthusiasm, both sometimes lacking when I hear Suzuki releases. 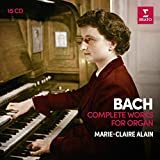 From the sidelines of the intra-HIP OVPP vs. 2+VPP debate (as fiercely fought out as you can imagine Bach scholars and choral conductors imagine getting) I find that the radical minimalists have mistaken possible practical circumstance for an unshakeable theoretical ideal they now practice. Bach, according to them, not only had no more than one singer per part, he would have loathed adding even one more. Their argument is more sophisticated, of course (perhaps you can find Joshua Rifkin’s “Bach’s Choral Ideal” which is a fine primer), but I can’t help to shake the feeling that instances are presented as universally true; conjectures as fact… a venture doggedly trying to find facts to support a particular theory rather than truth. But who cares when the results of overzealous historicism get us results like Kuijken’s. 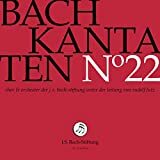 Nothing stiff or academic or skimpy about this series which is now on volume Eight: “Meine Seufzer, meine Tränen” with BWV 13, 73, 81, and 144 covering the second through fourth Sunday after Epiphany and Septuagesima (the third-to-last Sunday before Ash Wednesday). 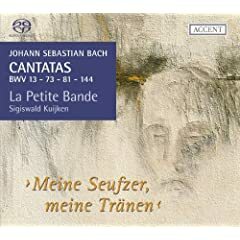 After Koopman’s and Herreweghe’s Bach, both belong decidedly to the 2+VPP camp, this is the Cantata series I respond most keenly to. 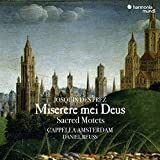 Not because each recording or each cantata stands above all other versions or because every singer is superior, but because the over-all mood is genial. 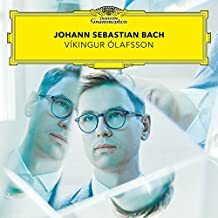 I’ll even skip such fabulous Bach-releases as Minkowski’s B-minor Mass (WETA Interview & Review) and Egarr’s Brandenburg Concertos (WETA Review) in favor of highlighting the Kuijken Cantatas. Volume eight is a prime example of that and I eagerly await volume nine. 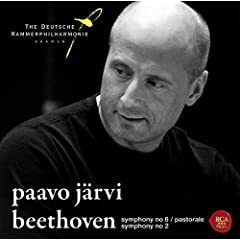 Neeme Järvi started his SACD Beethoven Cycle with the Bremen Chamber Philharmonic (RCA) with an exclamation mark of an "Eroica" that shocked all those who were still in stunned disbelieve how Osmo Vänskä could have told so many new, exciting stories with his new SACD Cycle (Minnesota, BIS). 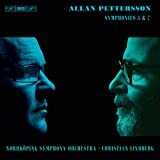 It is probably true that every generation needs 'its' Beethoven--and these two conductor/orchestra combination certainly bring out the best in the Beethoven of (and for) our time. 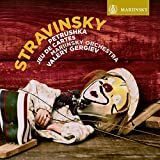 Järvi's Ninth is along the same line of excellence as the previous releases, but the combination of the Second and the "Pastorale" is my favorite among this year's Beethoven from him. 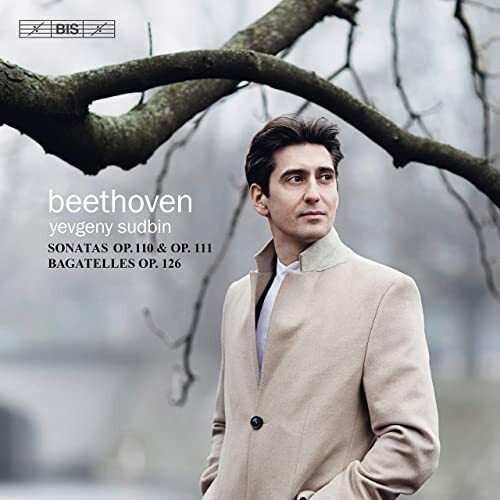 A review is forthcoming when this will be a WETA CD Pick of the Week in January, but suffice it to say that Paavo Järvi’s Beethoven continues just about at the plane that it started with…. 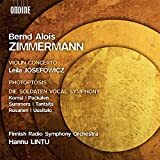 Järvi, expressively at the opposite end of the interpretative spectrum from my favorite Barenboim, manages to one-up even swiftest rival Sixths (like Abbado’s even faster 2001 Rome recording). His attacks are so explosive, his dynamic changes so sudden, his orchestra so detailed that he doesn’t need to outrun anyone to appear quicker. Whether that’s better or not than other Sixths is a matter of preference, but it sure is exciting. 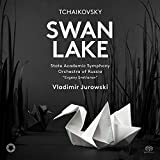 Incidentally Järvi’s firecracker Second Symphony is even more obviously special… an interpretation that jolts me out of my indifference toward that symphony and makes an immediately convincing case about how radical the Second must have looked at the time. 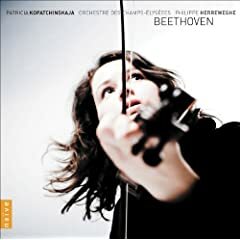 There were so many Beethoven Violin Concertos this year, but I’m spoiled for ‘good’, ‘fine’, and ‘excellent’ Beethoven concerto recordings—Renaud Capuçon, Janine Jansen, Lisa Batiashvili—and, quite frankly, bored. One didn’t bore but excited: Philippe Herreweghe’s with Patricia Kopatchinskaja. 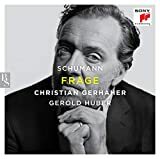 It reminds me most of my favorite recording (due to be re-issued in 2010), that of Zehetmair and Frans Brüggen. 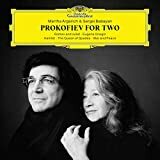 Like Zehetmair, Kopatchinskaja uses the Beethoven-Schneiderhan-cadenza, then goes off improvising in a style in line with the concerto’s time, not something gratuitously modern (which can be exciting, too). Kopatchinskaja is known for being a bit of a rebel… but then again, in classical music you can attain that label just by playing barefoot. 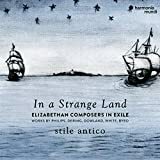 She also collaborates with Fazil Say, which might be more telling… except that this concerto recording isn’t at all wilfull or crazed; it’s exiting and gentle, thundering and novel… but terribly tasteful. 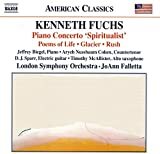 Worlds apart from the ethereal magnificence I have experienced live with Julia Fischer, but just about as engrossing. 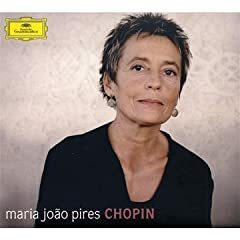 Pires’ smart Chopin recording is subtly enjoyable, even if not as obviously outstanding as some of her Schubert recordings. Reviewed for WETA here. 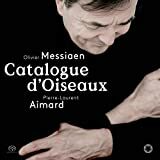 Obscene, ghastly, wonderful, horrifying, marvelous, beautiful, outrageous, this Haydn disc. 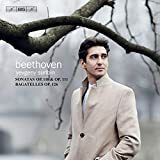 The only reason Tzimon Barto is not a divisive classical musician is because most people actually agree he’s a kook and probably a crook, too. 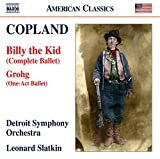 Between early Wunderkind status, being a Karajan-protégé, having a decent conductor’s career, a strict bench-pressing regime, grand literary ambitions, steroid abuse, an alcohol addiction, a guilty plea after being busted for crack-cocaine, and dealing with the tragic early loss of his Asperger’s syndrome suffering son, he also manages to be a baffling pianist. 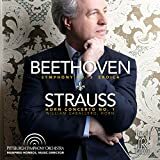 Washington’s cultural king pin-to-be, Christoph Eschenbach adores his abilities and champions Barto at every opportunity he gets… whether having him guest conduct, perform piano concertos, translate his poems into German, or helping him get a record contract (Ondine). 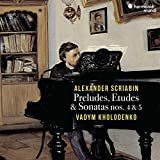 I can see how this Haydn disc might drive self-respecting pianists batty, but for me it represents one of those cases where I chose not to care that the performer puts himself, or his ideas, front row. There is too much beauty in the slow movements, too much pleasant oddity and novelty in the others… a curious bending of shapes… utterly enchanting if you let it be. 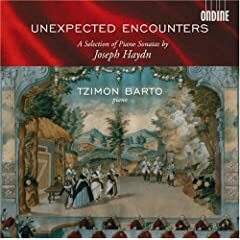 In a way it is even further from the über-Haydn keyboard sonata recording of Alfred Brendel’s than Fazil Say’s lovingly wacky adventure… but the result are ‘unexpected encounters’ indeed, an indulgence, a strange, but wholly embraced new-listening opportunity. 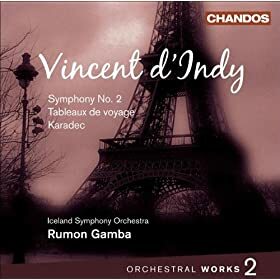 The extraordinary expectations that volume one of D’Indy’s orchestral music set—it was my No.1 pick in 2008—could not quite be met by the follow-up disc. Perhaps in part because the surprise element is gone? 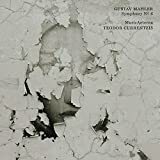 Still, with Symphony No.2, “Tableaux de voyage” (D’Indy’s orchestration of his eponymous piano piece), and the incidental music “Karadec” (with surprising hints of Gustav Mahler) it comes fairly, pleasantly close. 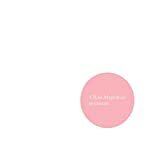 If you liked the first volume, the follow up will seem a natural, rewarding step. 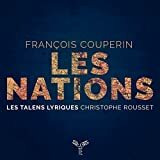 Ned Rorem, America’s French composer, writes songs the way I should like all songs to be interpreted, “non-operatic” and consequently intimate-natural. 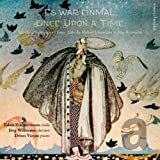 Whether you buy Time Magazine’s epithet of Rorem as the best songwriter in the world or not, you cannot deny that he has a melodic gift, and a great one at that. 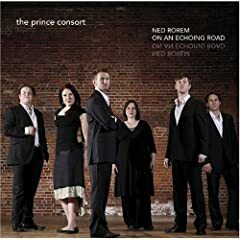 “On an Enchanted Road” is a magnificent collection of 29 of them (original and arranged), sung variously by the five members of The Prince Consort and accompanied by artistic director Alisdair Hogarth. 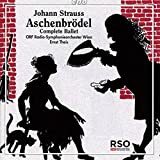 All the voices—Jacques Imbrailo (baritone), Anna Leese (soprano), Tim Mead (tenor), Andrew Staples (countertenor), and Jennifer Johnston (mezzo)—sound very pleasant and well suited to what they are tackling and among them the baritone and soprano stand out for particularly smooth delight. 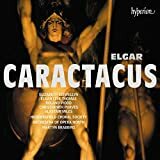 Of the 29 songs, I love maybe half a dozen (“Jeanie with the light brown hair”, “What if some little pain”) and I much like the rest, except for the oft-recorded, apparently popular “Alleluia” which I find infernally annoying and would gladly erase from the disc, never to hear again. But one lump of coal among so many precious bits isn’t a real downside to this release. 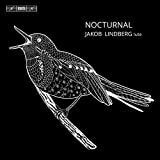 Technically a 2008 release, but I didn’t hear it until 2009 and it certainly demands a nod. 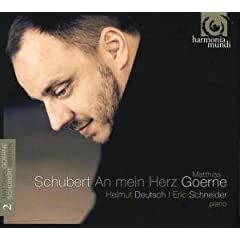 Goerne’s Schubert cycle on Harmonia Mundi (he has also participated in Hyperion’s complete survey and recorded some Schubert for Decca) shows a matured, secure artist heading for a long peak in his career. 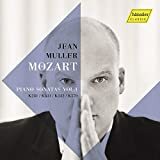 The second installment, titled “An Mein Herz” is an early highlight, especially the first of the two discs with Helmut Deutsch accompanying him. 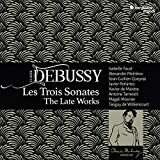 (Every installment and disc features a different pianist with whom Goerne collaborates). 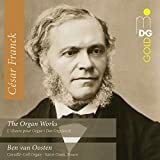 At his best, like in “Das Lied im Grünen” or “Der Wildemann” (which recycles the Erlkönig) or "Augenlied" (which foreshadows Beethoven's Adelaïide, Goerne’s voice is baritonal art-song perfection, robust and sensitive for inextinguishable pianissimos, clear and unmannered in clarion climaxes. 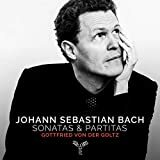 His is not as disarmingly natural, anti-artsy a voice like Gerhaher’s (my personal favorite), but then that’s only one way to sing Lieder and Goerne’s more conventional may well have a broader appeal. The top notch presentation of the Harmonia Mundi discs adds further to the attraction. 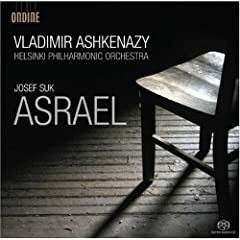 Josef Suk’s Asrael is one of the grand symphonic beauties that don’t seem to get their due in the concert hall. 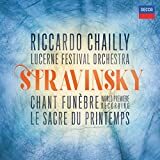 At least on record the magnum opus of Dvořák’s son-in-law is well treated. When you wish to go beyond wallowing Tchaikovsky, melodic Prokofiev, or atmospheric Sibelius, Asrael is your ticket to romantic bliss on on a large musical canvas. 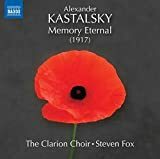 Similarities with his now Janáček and Martinů can’t be ruled out and the fourth movement—about the anger of grief—can fell a bit like the finale of Mahler’s Sixth on a leash, or the more violent moments in Sibelius.. Perhaps it is Ashkenazy’s top notch modern sound (including 5.0 surround if you are SACD equipped), the quality of his orchestra, and his involvement can’t be topped. More extensive review forthcoming. 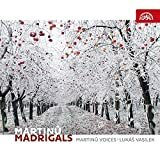 The finest, most immediately and thoroughly charming Vivaldi disc I’ve come across this year. 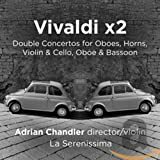 The (period instrument) playing is formidable, the spirit of the music ardent and lively, and the choice of concertos the clincher: so many varied textures amid these most splendid but thankfully lesser-known Vivaldi concertos avoid all sense of sameness, routine, or flagging attention. 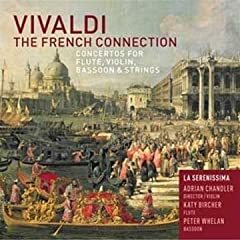 Perhaps the most ideal single-disc collection for a quick overview of Vivaldi concerto-writing beyond the Four Seasons.